This year’s edition of Supranational Hotels Conference took place at County Hall Park Plaza, London last week. The event meant exclusively for Supranational members offers them the opportunity to network with peers and leading industry figures, participate in seminars on key industry topics and conduct one-to-one meetings with invited consortia and corporate clients. Chaired by its Managing Director, Cho Wong, the conference witnessed interesting discussions on various topics including Total Revenue Management, Outlook on Corporate Travel, Reputation Management and Corporate RFP. Michael McCartan, CEO, eRevMax, one of the speakers at the conference, took the opportunity to announce RateTiger’s selection as the preferred supplier and Channel Manager of Choice by Supranational Hotels. 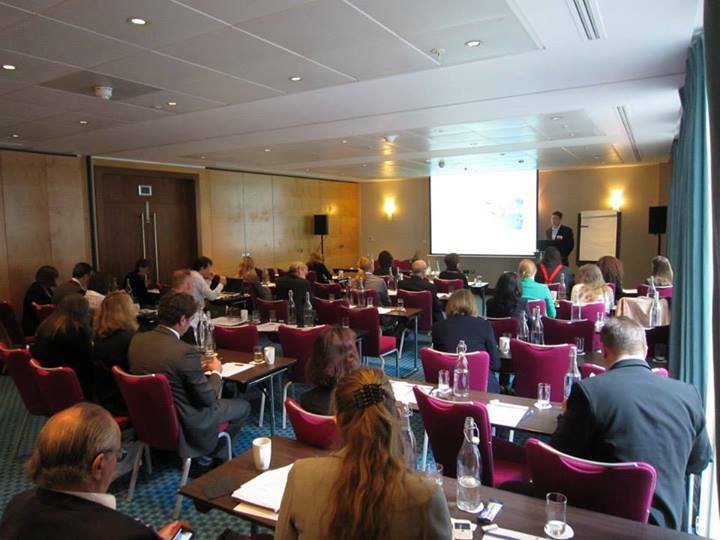 He presented on The Distribution Landscape in 2013 – outlining the impact online travel has on total hotel bookings. Today, one in six travelers prefer to book online. They visit between 17 – 20 websites and check reviews before finalizing accommodation. Hotels need to ensure they are visible at every important touch point to get customer’s attention. However given the wide variety of channels it is difficult for them to identify the best demand generators from among the ever expanding channel universe. Further, more channels mean more updates. The only way out is leveraging technology to automate distribution and avoid getting tangled in the channel-web. By utilizing a smart channel manager, hotels can collect and access the multitude of data in their systems to analyze rates, market pricing trends, competitor selling activities, historical and trend information to achieve the best possible room rates from the most desired guests. Michael shared suggestions and examples on how to drive direct online bookings and how hotels can optimize product value through innovative room packages, new promotions and better positioning across different online distribution channels. The idea was to help hotels deal with the distribution challenge efficiently! The conference was followed by interactive sessions where I got a chance to speak to member hotels about managing distribution and optimizing revenue strategy through RateTiger solutions. Althoff Hotel Collection has selected eRevMax’s channel management solution RateTiger for revenue optimization. All six Althoff properties spread across Germany and France will use RateTiger channel manager for automated inventory adjustment. Live alerts will enable the revenue management team to track, monitor, predict and evaluate cash priorities across the business more meaningfully. “RateTiger gives instant control over yield management, allowing hotels to handle more product types while automating the distribution process. The diversification of product and exposure is going to have a positive impact on hotel bookings.” said Casey Davy, VP Sales, EMEA, eRevMax. The property will benefit from eRevMax’s recently released RateTiger Suite 3.0 which sports a dynamic user interface and integrated channel management functionalities, and is designed to maximize usability and effectiveness. Supranational Hotels, one of the biggest hotel consortia globally, has chosen RateTiger as its preferred hotel online channel management partner. The property will be using Channel Manager, a fully integrated e-distribution platform with smart channel connectivity, market intelligence and revenue management capabilities.